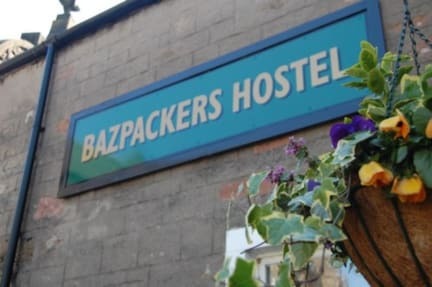 Very pretty Hostel with good accomodation, the beds are alright (6 bedroom), the common room and garden are absolutely pretty, the bathroom, toilets and showers are clean and spacious, warm water works, the staff was very welcoming and the location is probably the best you can get! We really enjoyed our stay and I would definitely recommend going there - friendly, cosy and trustworthy :) Awesome! Eines der besten Hostels in denen ich je war!! Supersüßer Aufenthaltsraum und gute Küche, saubere Zimmer und Bäder und eine wunderbare Atmosphäre, um mit anderen Reisenden ins Gespräch zu kommen und sich auszutauschen... direkt am Schloss und nicht mal 5 min zum Zug und Bus Bahnhof, perfekt um die Gegend zu erkunden. Super angenehme Atmosphäre. Geniale Mitarbeiter! Gemuetliches Hostel, schoen gegenüber dem Castle von Inverness gelegen, ruhig, gut ausgestattet, nette Angestellte. Wir hatten ein 2Bett Zimmer, recht geräumig, nicht im Haupthaus, mit separater Küche, die wir allerdings nicht genutzt haben. Nice place. Wonderful house. Great & friendly staff. Very clean. A great hostel in a perfect location! The showers are lovely! I definitely recommend staying here! Clean hostel and everything was working properly. The bathrooms in the lower part of the hostel are very small. The hostel is based in the centre. The 6 bed dorm I stayed was very small. There where too many beds in the room. It seems they want to make lot of money. There where many hair in my new bedlinen. The stuff where friendly and helpful. The showers where big and had warm water the whole time.